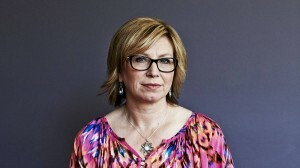 In February 2014 Rosie Batty lost her son in a tragic case of family violence. Her husband had a history of anti-social and violent behaviour, and with a string of intervention orders issued, the result was unimaginable. Since losing her son, Luke, Rosie has become the leading voice on family violence. Winning Victorian of the year for 2014, Rosie has set up The Luke Batty Foundation and is actively campaigning to ensure that tragedies like hers do not happen to others. Domestic Violence Resource Centre Victoria. This website provides an extensive database of services available, in many contexts including Lifeline, Mensline, Police and Ambulance and many others Australia wide. Department of Human Services – Family & Domestic Violence. This site provides valuable information about the different types of family and domestic violence, and tailors the resources available to these violence types. White Ribbon is a prevention campaign, work to change the attitudes and behaviours of violence towards women. This link to their website provides a raft of different support types, across all states and territories. ReachOut.com is a website designed to help people in many different situations, including domestic violence. This link gives information on some places you can contact for counselling and other forms of assistance. Very sobering insight into domestic violence well articulated by Rose Batty.Commendations to the Buckinghams for their sensitive questions.